THANH HÓA — Thanh Hóa Province on Monday fined a company VNĐ160 million (US$7,100) for illegally discharging untreated sewage into the Âm River, causing mass fish deaths last week. Thanh Hóa’s Department of Natural Resources and Environment also suspended Tuấn Vinh Production, Commercial and Transport Co Ltd from operation for three months for the environmental violation. Earlier, on April 3 and 4, dead fish were spotted along a 10km stretch of the Âm River that runs through the Lang Chánh and Ngọc Lặc districts. 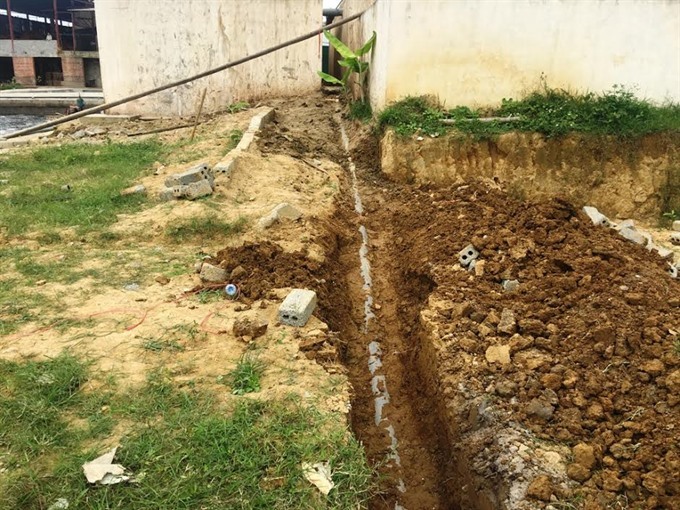 According to the department, an inspection team, which was sent to scrutinise Tuấn Vinh company on April 5, discovered an underground pipeline connecting the wastewater tank and the Âm River. An experiment test proved that the pipeline was used to illegally discharge the untreated sewage directly into the river. The wastewater discharge was said to be responsible for the mass fish deaths in the river, in addition to seriously affecting the water quality and residents’ lives.